The activities with Culture Sundays on November 4th and 11th, with a traditional Garifuna food, drumming, and live entertainment starting at 1PM in the Central Park in downtown San Pedro. On Saturday, November 10th there will also be a fashion show showcasing the traditional clothing of the Garifuna culture. November 12th through to the 16th is Cultural Awareness Week, and events include presentations at the various island schools. Students are asked to participate in Cultural Dress every Friday until November 19th, by wearing yellow, black and white outfits, which are the traditional Garifuna colours. This year, there will also be a Garifuna Translation Competition among students of various primary schools of the island at the Lions Den on Friday, November 16th. On Sunday, November 18th the official celebrations to commemorate the 185th anniversary of the arrival of the Garinagu to Belize will start from 8PM. There will be live cultural presentations, music and of course drumming all night long to bring in the 19th. 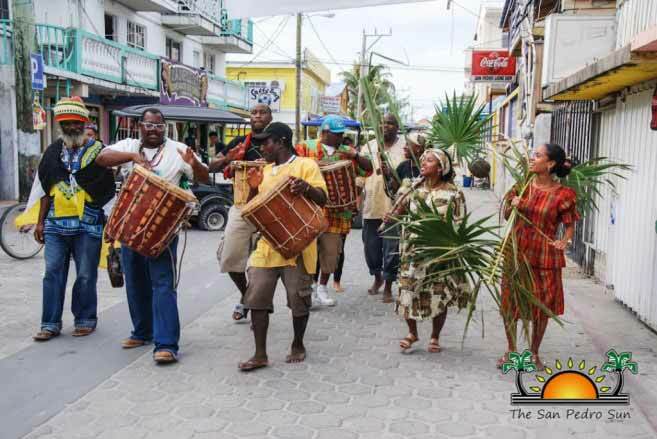 On Monday, November 19th the festivities will commence with the official Yurumein which is a reenactment of the arrival of the Garifuna to Belize, followed by a parade through the streets of San Pedro Town. Everyone is then invited to the Central Park where there will also be lots of food and live music all day long. The Garifuna people arrived in Belize in 1832 after they left their native St. Vincent in the Caribbean. Their cultural contribution to Belize has been so positive that in 1977, under the leadership of the late Premier George Price, November 19th was officially declared a public and bank holiday. The National Garifuna Council, along with The San Pedro Town Council and the Cultural Committee on the island wishes everyone a Happy Garifuna Settlement Day! 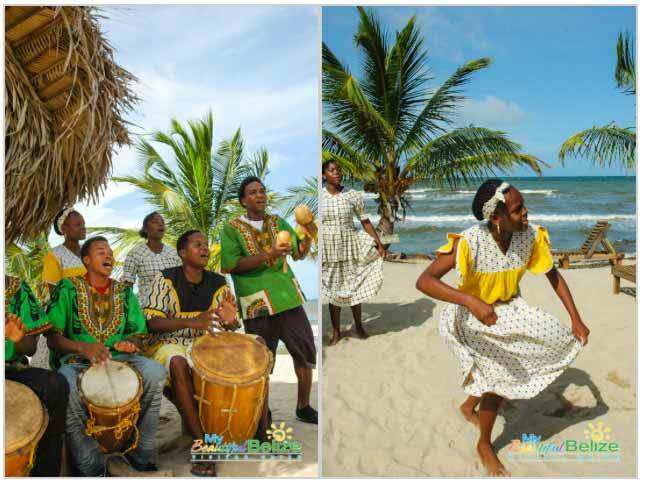 The vibrant culture of the Garifuna people graced our shores in 1832, and every year on November 19th, Belize honors their arrival with a holiday. November is a celebration of drumming, dancing, laughter and an appreciation for one of our more colorful ethnic groups. Re-enactments tell the story of both the survival and flourishing of a resilient people, descendants of Arawak Indians and African slaves. All across the country, various activities are planned for the weeks leading up to the big holiday, and San Pedro Town is no exception. Besides Cultural Sundays, complete with live music and dancing at the Central Park, there will also be a fashion show on November 10th. November 12th through the 16th will be Cultural Awareness Week, and the grand finale for that week will be a fun Garifuna Translation Contest! Sunday November 18th will be another Sunday of music, food and dance, bringing in the big day on Monday November 19th. National Garifuna Council San Pedro Branch invites island residents and visitors to be part of their celebrations. Sponsored by: NGC National Branch, Mayor Daniel Guerrero and San Pedro Town Board, Castillo's Hardware, Andre Perez Casa Pan Dulce, Victoria House, Ramon's Village, Las Terrazas, Caribbean Depot. 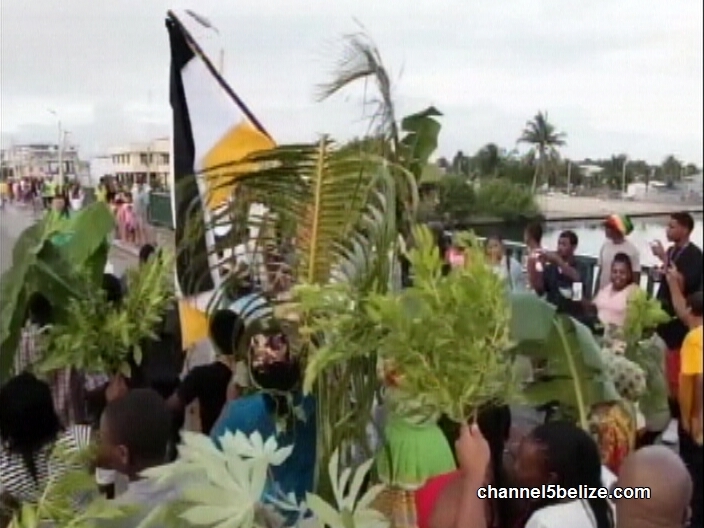 Activities are ongoing to celebrate the arrival of the Garifuna to Belizean shores. Here in Belize City, Lerisi Garifunaduau will be the venue for a mega concert on November eighteen featuring cultural artists from Belize and Honduras. This will be followed by the reenactment of the arrival leading to a procession to the Saint Martin’s Church on the nineteenth. There will be a full day of activities to celebrate the Garifuna culture including its music, food and dance. News Five’s Isani Cayetano has the lineup. 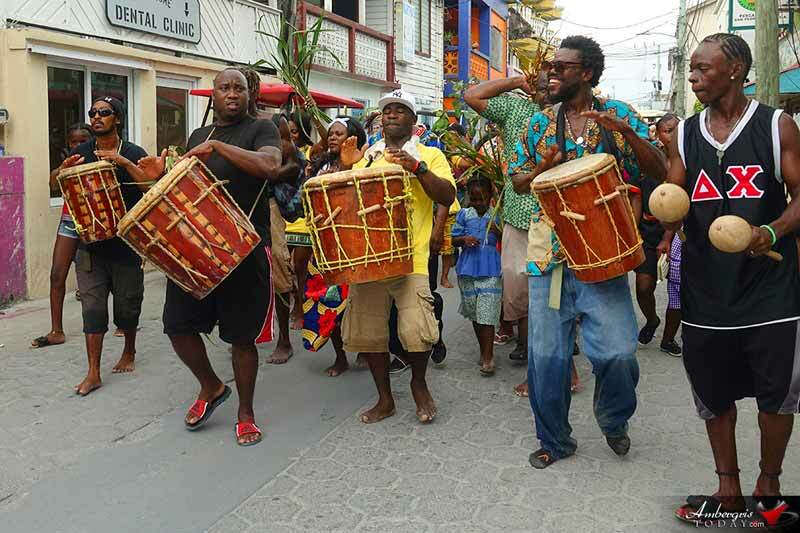 This November nineteenth promises to be eventful, with activities chiefly taking place in Dangriga, Belize City and Punta Gorda. The occasion will begin and end with all-day drumming, singing and dancing, an overall festive spirit throughout the extended weekend. 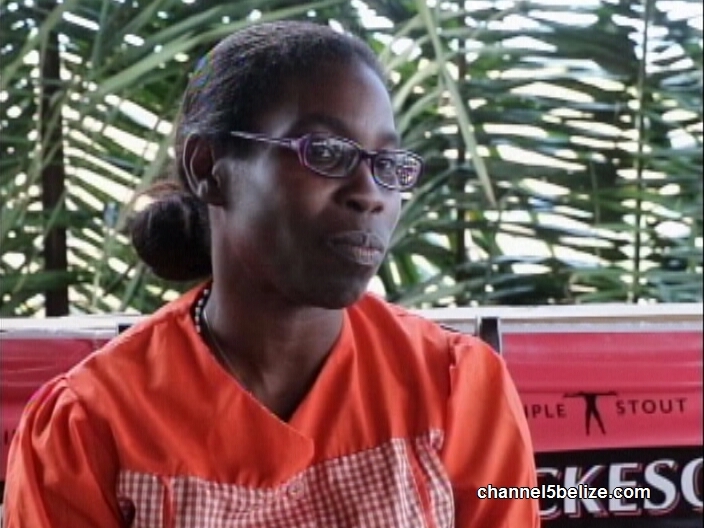 In Belize City, all roads will lead to Lerisi Garifuna Restaurant where the National Garifuna Council has partnered with proprietor Adette Tillett Nolberto to pay homage to the day that was founded by Thomas Vincent Ramos. 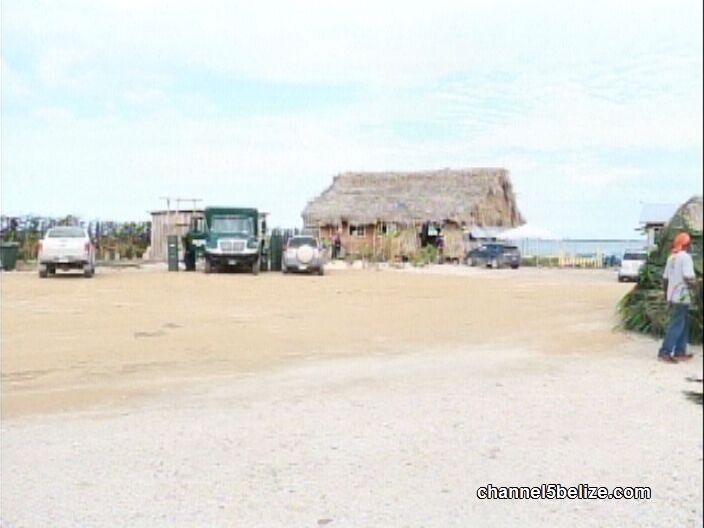 Garifuna Settlement Day Celebrations in San Pedro. Bringing in the 19th! A Tribute To Thomas Vincent Ramos. 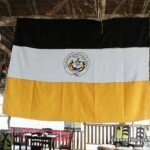 Happy Garifuna Settlement Day Belize! At the center of Garifuna Settlement Day celebrations is the reenactment of Yurumein. Yurumein is the Garifuna word which means Homeland, it is a public reenactment of the epic journey of the Garifuna people from their homeland in St. Vincent to the shores of Belize The Yurumein is re-enacted in every major community where the Garinagu reside and presents itself as one of Belize’s prominent cultural celebrations. Other cultures of Belize have come to appreciate this annual celebration and it in fact contributes to our collective understanding of the Belizean identity. It is only hoped that the knowledge of Yurumein will be passed on to younger generations of Belizeans and thereby allow Garifuna Culture to remain an integral part of the Belizean way of life. Garifuna Settlement Day was observed on Monday, November 19, 2012, that made for a long holiday weekend of celebration throughout the country of Belize. The Garinagu community of San Pedro was nothing shy of showing off their rich culture, especially when it came to the drumming and dancing. Activities surrounding the day of celebration started off early with cultural drumming at Central Park, School visits, translation competitions and much more. 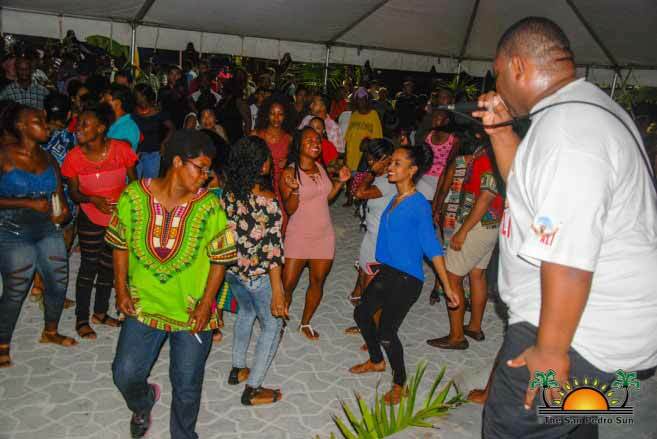 The major social event was held at Central Park on the eve of Garifuna Settlement Day where the Garinagu held celebratory drumming and dancing performances through the night. The traditional Yurumei which is the reenactment of the Garinagu’s arrival to Belize took place at 1:00pm on Monday, November 19, 2018 followed by short parade through town. The 13th Annual Battle of the Drums 2018, 2.5hr. 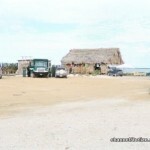 (Yurumein) Garifuna Settlement Day, 14min. At the center of Garifuna Settlement Day celebrations is the reenactment of Yurumein. Yurumein is the Garifuna word which means Homeland, it is a public reenactment of the epic journey of the Garifuna people from their homeland in St. Vincent to the shores of Belize The Yurumein is re-enacted in every major community where the Garinagu reside and presents itself as one of Belize’s prominent cultural celebrations. Other cultures of Belize have come to appreciate this annual celebration and it in fact contributes to our collective understanding of the Belizean identity. It is only hoped that the knowledge of Yurumein will be passed on to younger generations of Belizeans and thereby allow Garifuna Culture to remain an integral part of the Belizean way of life. Yurumein from beautiful Dangriga on a rainy #November19th morning, 1min. Garimaya Grand Sponsor Southern Tour, 28min. Alejo Beni Park in Dangriga! !, 7min. 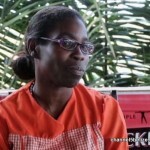 Culture capital Dangriga!!! Drumming all night!, 13min. Dangriga on the eve of the 19th!!! !, 7min. 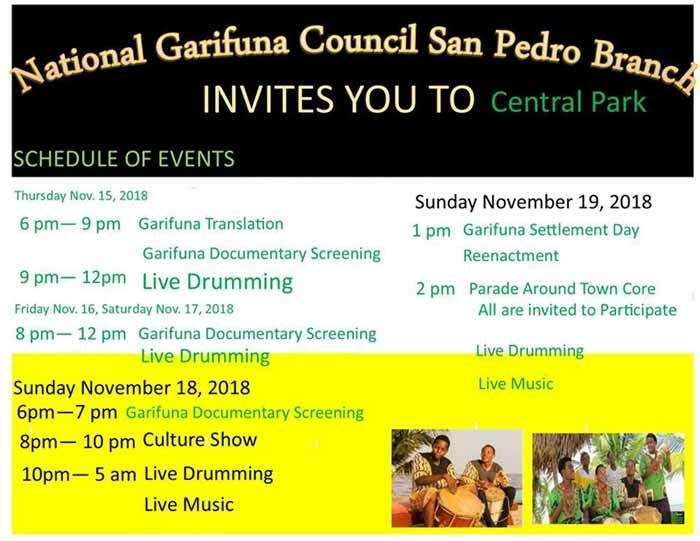 Garifuna Settlement Day in Punta Gorda, Belize 19 November 2018, 40min. 6:00am Yurumei. Garifuna Settlement Day. Re-enactment of the arrival of the first Garinagu to the shores of Belize. 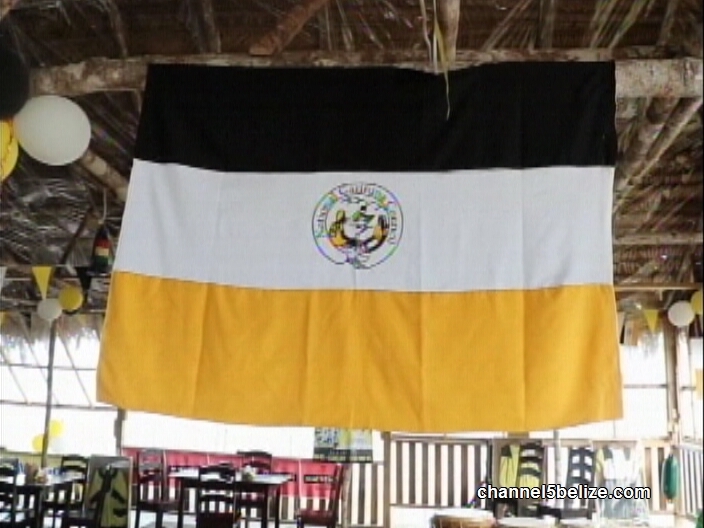 WACPtv: GARIFUNA REENACTMENT IN LIBERTAD VILLAGE BELIZE, 58min. The start of the cultural activities began on Sunday evening with a brief ceremony held at Central Park. President of the NGC San Pedro Branch, Alex Noralez welcomed and thanked the audience for joining in the celebration. Giving formalities to the event was Mayor Daniel Guerrero, who shared a few remarks. He commended the Garifuna people on their valuable contribution to the country and for their rich culture which continues to thrive in this modern era. Guerrero encouraged everyone to be respectful and to work together in order to build up our communities and Belize. The celebration culminated the following day with the traditional Yurumein, which is a dramatization of the arrival of the Garifuna to Belize. The re-enactment took place shortly after 1PM in front of the Central Park. Hundreds of residents and visitors flocked to the beach to witness this memorable moment for the Garinagu. The Yurumein included three boats arriving on the beaches of downtown San Pedro, complete with joyful singing and drumming.